Should You Add Access Control to Your Gate? Access control isn’t just for offices. Key fobs and automated readers that interact with smart locks can help provide secure access to any site that needs monitoring and protection. Whether you have a farm, large estate, or homestead you want to protect, consider adding access control to your gate. You can make your gate recognize your car and farming vehicles. 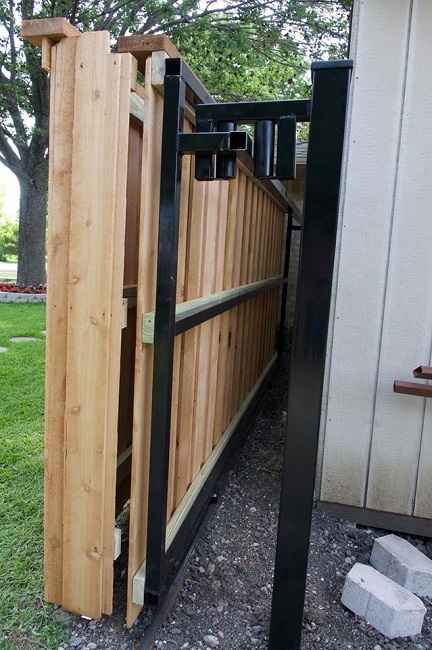 A gate and enclosed fence protects your property. Whether you’re worried about trespassers or curious farm animals, these structures protect your home’s perimeter. But it can be inconvenient to stop and tap in the punch code every time you need to enter and exit the enclosure. Equipment authorized vehicles with chips that the fence’s reader can detect so the gate opens automatically for you. You can add these fobs to your vehicle’s keychain or attach it to the dashboard for even easier access without worrying about misplacing the devices. Equip your property with hands-free access. Disable security features for set windows of time at individual access points. Remotely open the gate for someone approaching the gate. Monitor the gates from inside your house to investigate attempted entries or disturbances. This keeps you and your home safer because you can examine alerts without stepping outside. If you have a farm with hired employees or you have contractors on-site for a limited time, you can even give them limited access that you can track, modify, and audit for projects that occur while you’re offsite. Access control gives you more convenience and security. Go to Philip’s Fences to see what system best fits you and your property.